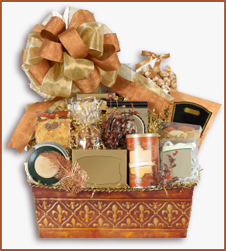 Food hampers have completely changed the way that numerous people view the task of coming up with a gift idea. Selecting an appropriate gift for close friends and family members used to be viewed by many people as a difficult chore. However, the wide variety of selections, sizes and styles that are available in food hampers has turned gift giving into something that just about everyone can enjoy. Yes, enjoy! One of the biggest advantages of giving items like these to those you love and care about is there are choices that perfectly fit practically any preference and personality. These baskets can also be designed to fit the décor and colour scheme of a certain theme, holiday or special event. What makes these gifts so enjoyable is the freedom there is in selecting food items to tuck away inside and the attention that can be paid to detail. It is the special touches like this that truly lets the recipient know just how special they are. The only limitations there are on specific types of food hampers that can be given as a gift is a person’s own creative imagination. Below you will find some great ideas about 5 food hampers perfect as gifts for those you love. Meat Hampers – There are several varieties of meats that can be added to meat hampers such as breakfast meats and even seafood. If you’re the type of person who doesn’t make quality-related compromises, visit My Butcher and choose the best product for your needs. Coffee Hampers – This is a favorite among a large number of coffee lovers that enjoy waking up to the refreshing aroma of coffee. Great ideas to fill these baskets would include coffee mugs, premium quality coffee pouches, coffee flavored candies, cookies and tasty caramels. French Food Hampers – Those whose taste buds are tempted with the finest in French foods are sure to enjoy the special ingredients included in this basket. It is a great way to bring French cuisine right to your loved ones home. Also included in this choice of a food basket are cakes, amazing puddings and other wonderful goodies. Diet and Diabetic Food Hampers – This is quickly rising to be one of the most popular types of food hampers. Whether it’s for a friend that is dieting or someone on diet restrictions because of diabetes, you simply cannot go wrong with the sugar-free food hamper. Mouthwatering health food varieties, sugar-free candy and other delicious treats overflow the sides of this food hamper. Homemade Hampers – Gift givers that choose to give homemade hampers for the holidays have an unlimited choice of delectable food items to include in this basket. They can be personalized with romantic touches of love or designed to be as wild and wacky. Muffins, popcorn, cookies, cheese, chocolates, fruits and fresh vegetables are a few ideas for this special hamper. Author bio: Jessica frequently blogs about gifts and special occasions. She writes for My Butcher, an online butcher who sells premium quality meat and gourmet gift baskets and hampers. Nice ideas! I really like the idea of a French themed hamper… You could do it with a lot of kinds of cuisine. 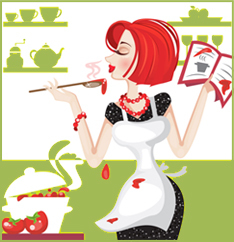 It would be a great way to introduce someone to new ingredients and cooking styles. Great tips! I especially like the coffee hamper idea. Hello,I like to read more on this topic. I appreciate you for publishing Gift Baskets | In Our Kitchen.